Happy Friday people! I am so looking forward to the release of this book and had to share it with you. Justina Blakeney's much awaited book called " The New Bohemians" is now available for pre order on Amazon. So hop on over and grab yours :) Here is a bit of information about the book. 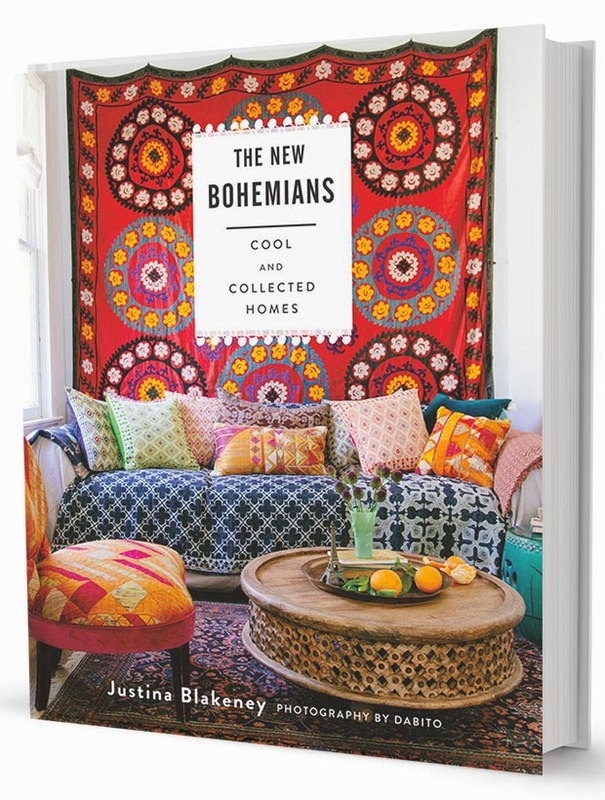 "In The New Bohemians, LA-based designer Justina Blakeney defines the New Bohemians as creative individuals who are boutique owners and bloggers, entrepreneurs and ex-pats, artists and urban farmers. They embrace free-spirited, no-rules lifestyles and apply that attitude to all areas of their existence, including their homes"